DETROIT -- San Francisco advertising agency Goodby, Silverstein & Partners plans to open an office in the Detroit area to handle the $600 million Chevrolet advertising account it picked up in a surprise move last week. No location, time frame or staffing estimate has been made public, but a person with knowledge of the deal said it's expected to be about 75 people. It's unknown how much of the work will be done locally and how much in San Francisco -- and Goodby is saying very little about the situation. “We do not know yet how many employees we will need to hire, or where we will house them,” said Christine O'Donnell, Goodby's director of agency relations, via an e-mail to Crain's Detroit Business, an affiliate of Automotive News. Goodby may not have to look far for space: There's some in suburban Detroit owned by Goodby's New York City-based parent company Omnicom Group, which also owns BBDO North America. BBDO eliminated 450 local jobs when it closed its suburban Detroit office after losing the Chrysler Group LLC marketing account in January. BBDO still has its lease on the office built in 1999, according to information from the Bethesda, Md.-based research firm CoStar Group. BBDO occupied the entire six-story, 186,500-square-foot building and is on a lease term that extends to 2020. The office was home to more than 1,100 staffers as recently as 2006, but as Chrysler succumbed to growing financial problems and slashed ad spending, the office headcount was reduced. Pat Sloan, senior vice president and corporate director of public affairs for Omnicom's DDB Worldwide, deferred comment to Goodby. Goodby is believed to have about 500 employees, and its most recent annual revenue estimate by Advertising Age is $125 million. Known for developing the “Got Milk?” campaign, the agency's clients include Hewlett-Packard, Frito-Lay/Pepsi-Co., Sprint, Yahoo, Nintendo, Denny's and the National Basketball Association. The agency had Saturn for nearly five years until General Motors Co. shifted it to Interpublic Group's Los Angeles-based Deutsch in 2007. 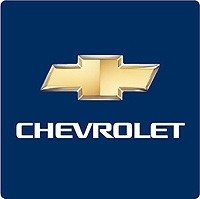 Chevy ended up at Goodby just weeks after its work was awarded to Publicis Worldwide, owned by Paris-based advertising holding company Publicis Groupe SA. The sudden switch was among the first moves made by Joel Ewanick, hired earlier this month as head of North American marketing for General Motors. Klaus-Peter Martin, who handles media communications for Chevy, deferred all comment to Goodby. Chevy announced in April that it was ending its 91-year relationship with Warren-based Campbell-Ewald and moving the work to Publicis. Campbell-Ewald will still work on other General Motors accounts and assist the switch of Chevy to Goodby. That's expected to happen over the summer. The agency has declined to say how many of its 1,100 employees were working on the Chevy account. Some are on multiple accounts, including other GM work. Daniel Duggan contributed to this story.